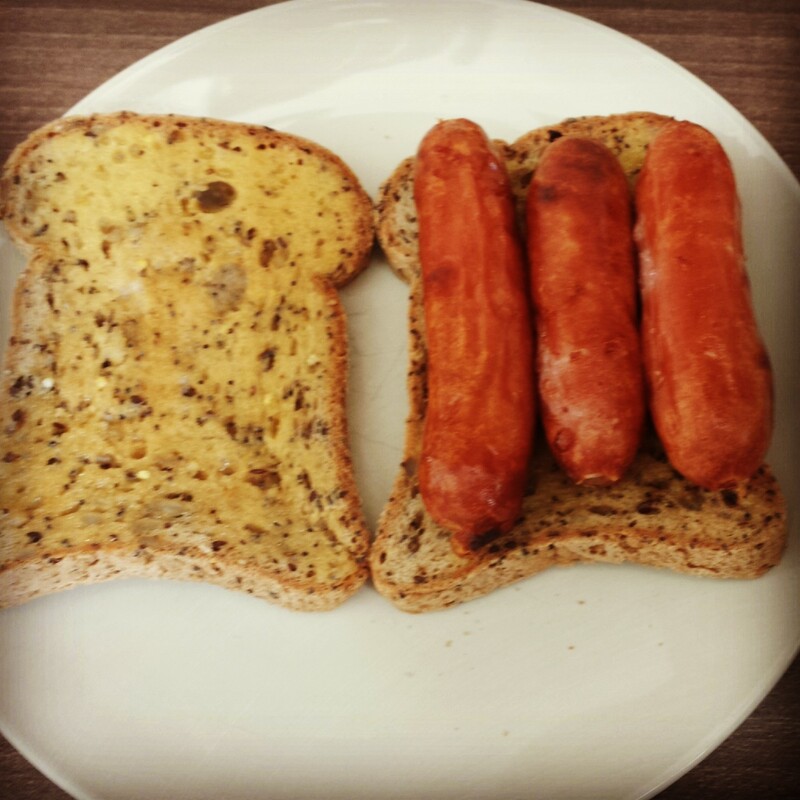 As a newbie going gluten-free was daunting for me, firstly I had to find out what Gluten was. Gluten is the elastic protein in wheat, rye, and barley that gives bread and cakes its wonderfully doughy texture and helps it to rise. Or to use the accurate terminology Gluten is gliadin and glutenin, the gluten that damages the small intestines of people who have coeliac disease. It makes life uncomfortable with gluten sensitivity. It makes up the genetic structure of semolina, couscous, orzo, spelt, kamut, durum, faro, einkorn and triticale. Although some of these may be familiar, some won’t be it is good practice to ensure when reading the back of packaging to make sure. Spelt and kamut are wheat in its natural form before it has been processed, although it still contains gluten which means that people who are allergic to wheat can eat it, however it is bad news for people who are gluten intolerant or coeliac. Visit the Coeliac Society of Ireland. Barley is tricky, because it hides in places you might not think about, like beer. Or cornflakes. Or malt vinegar. It is important to be aware that lots of products on the market claim that they are Wheat Free, however this does not mean that they are necessarily gluten free. Gluten is in most baked goods and pastas. At first, you might focus on the foods that you think you can’t eat anymore, like pasta or pizza or bread. But nowadays Its easy to buy great versions of each of those, while most of the larger stores offer free from products and gluten-free alternatives including chocolate, sour cream, Jaffa cakes, caramel shortbread, pancakes, cookies, muffins and Italian bread sticks, they are all yummy, trust me I have tried them all with great enthusiasm. The temptation is to go a bit mad and try eat everything, however these products may be gluten-free but they are not calorie free and in some cases have a greater calorie content than the regular alternative, something to keep in mind when choosing what to eat. Take your time trying out store bought first to get your palate used to the new taste of gluten free products before you venture into baking gluten-free, I have. I am hoping that my future gluten-free baking will make it easier and healthier to eat gluten-free and save some money too as gluten-free products can be a little pricier than the regular alternative. The first few weeks were the hardest, delving into the unknown. I knew I had to focus on whole naturally gluten-free foods but I had no idea where to start. I began my journey by researching on the internet and reading some really good blogs dedicated to gluten-free living I felt well informed to take a trip to the supermarket not knowing what I would find. I spent a good 3 hours wandering around and read the back of every packet I wished to purchase discovering what I could eat. I also found out that a lot of the things that I ate on a regular basis were naturally gluten-free already. Which gave me some comfort. 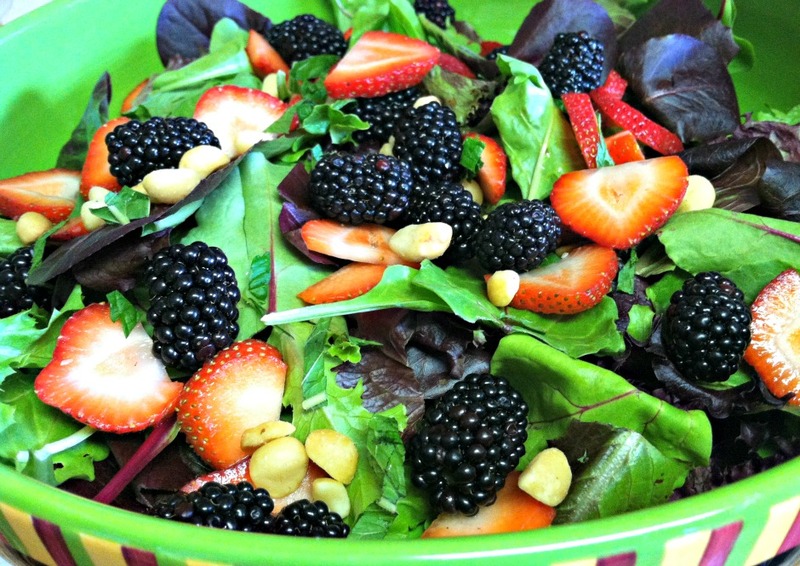 Fresh seasonal fruit and veggies are naturally gluten-free, which is great for me as I would live on veggies. Fresh Organic grass fed beef is rich in Omega 3. Chicken, eggs and fish are all naturally gluten-free. Be careful when it comes to added broths, seasoning’s and marinades. For starches Potatoes, sweet potatoes and Grains – plain whole grain rice and Italian Arborio rice are all gluten-free. Be careful when buying anything processed, always read the label as sometimes par-cooked, instant or flavoured rice can contain wheat in some form, usually in the seasoning. Quinoa cooks quickly and is a complete protein. Rolls of cooked polenta are a convenient base for family style Italian cooking. Forbidden foods containing Gluten to keep in mind are breads, Rolls, Wraps, Stuffing, Pasta, muffins, cakes, biscuits, bagels, doughnuts, croissants, processed cereal, pizza dough, pastries, fried food, beer, crackers, chocolate bars. Any food that has been processed is considered junk food as it is usually laced with added flavours and seasonings which are not gluten free. Always check the label for soups and salad dressings. Knorr Stock cubes and most herbs and spices are a good alternative to put flavour into food, corn flour is also a great alternative to flour when it comes to thickening sauces. Limit the amount of refined sugars and starches, soda, unhealthy saturated trans fats and low nutrient junk food will go a long way toward healing a stressed digestive system and help if you suffer from fatigue. Cutting out the bad stuff may even help you loose a few inches off your tum, it did for me. When in doubt choose whole natural food. Try to avoid anything with high fructose corn syrup as much as possible. It is a new refined, super sweet corn starch based sweetener which can often be hidden in many products and can cause digestive problems for people with a high propensity to sensitivity, it also raises your set point for “sweet” taste, and it is suspected to be a contributing factor in insulin resistance, higher triglyceride levels and type 2 Diabetes. Sugar alcohol based sweeteners such as sorbitol and mannitol are also problematic as they can cause digestive symptoms remarkably like gluten intolerance, including pain, bloating, gas and diarrhea. When it comes to Dairy, some physicians suspect that over fifty percent of coeliacs are also intolerant of or allergic to the proteins in milk, casein and whey, and many others find it difficult to digest the sugar in milk, called lactose. However, there are now Lactose Free alternatives which will not disappoint including milk, cream and cheeses. Some of the dairy free alternatives are crafted from rice, almonds, cashews, pea protein or soy. Always check labels for hidden ingredients as some ‘lactose-free’ cheeses actually contain the milk protein casein. Luckily, many non-dairy milks now say ‘Gluten-Free’ on the package. Call the company when in doubt. Try the new chilled coconut milks in a carton, or almond milk, organic non-GMO soy milk, and hemp milk. If dairy is fine for you, cultured plain organic yoghurt is gluten-free; try it with a dab of honey, all natural 100% fruit jam or pure maple syrup. Flavoured yoghurts could be trouble- especially those with added granola or flavours made with barley. Plain, aged block cheeses are generally safe, you could start with a wedge of good Parmesan and aged cheddar; both are high in calcium and have zero lactose. When you are ready to branch out, fresh goat cheese is delicious; and tangy, and there are many varieties of real cheese that are safe you just need to check the labels for additives, fillers or flavourings. Blue cheese is also gluten-free, if you are a fan. Low Fat versions of dairy products often contain added starches or fillers that may not be gluten-free, as a rule I tend to avoid these products as a lot of them contain artificial sweeteners which I can’t abide, I consider these ‘poison’ for the body, that rules out carbonated diet drinks also. Lunch time can often cause difficulty when out and about. It is important to prepare in advance. Some idea’s could include sandwiches and rolls made with gluten free bread, wraps made with corn or brown rice tortillas (please check on these, as some brands have tested high in gluten), lettuce wraps, rice paper wraps, and even toasted gluten-free bread make fabulous grilled ham & cheese or tuna, sweetcorn and light mayo. There is an array of gluten-free breads available from Tesco, Supervalu and Spar and other independent stores and bakeries with a wide variety of quality and taste. Some are like cardboard, however, I have found some that I actually quite like, my favourites include Tesco Free from brown bread that I toast, Kelkin have a full gluten free range, and Supervalu gluten-free Brown Seeded Buns (which I use in my Turkey burger recipe). Toasting makes almost any gluten-free bread bearable. Baking from home can often be time consuming, however it is something that should be considered and when you’re ready you can try out some of my gluten-free bread recipes when I pluck up the courage. Breakfast is important for everyone but especially for us gluten-intolerant individuals. It sets us up for the day and helps with the cravings and reaching for those limited options on the go. Natural Oats would be something that I would suggest, cooked in water and some lactose free milk and topped with a sliced banana. At the beginning of your journey however you should note that although Oats don’t contain wheat, it is recommended that they are avoided completely until your gut inflammation has healed, and introduce them back slowly into your diet, once or twice weekly as they are a good source of fibre. Oats have been a controversial topic in the celiac community because some of them have been found to contain gluten due to cross contamination in the harvesting, storing and milling process. A few dedicated farms have begun producing certified gluten free oats. I have found a gluten-free strawberry & vanilla granola which I love made by the lawless family bakery in Athenry, it’s a real treat in the morning when you are in a rush or handy to bring with you to work and have at your desk. Remember also that Cornflakes contain barley and must be avoided as well as most other processed cereals. Why not try my recepie for Poached eggs & pulled pork a delicious alternative to the hangover breakfast but still hits the spot, or a g/f sausage sambo. I also love to make variations of Spanish frittata for brunch, and my recipe for Vegetable Frittata is a 6 egg version, when cooked I often split in half and keep the other half in the fridge for the next day, saving me from cooking when I’m on the go and keeps me in good stead for the day ahead in DCU where I am doing my Post Grad in Management Digital Marketing. I often find if I don’t have something substantial, my low blood pressure makes me feel faint, so it is important to prepare in advance if you have a long day ahead. Now, I always have a banana in my bag and a bar of Eat Natural for those times when you just want something to keep you going and it tastes yummy too! As a coffee lover and IBS (Irritable Bowel Syndrome) sufferer I was heartbroken to know that I had to cut down on my beloved coffee. 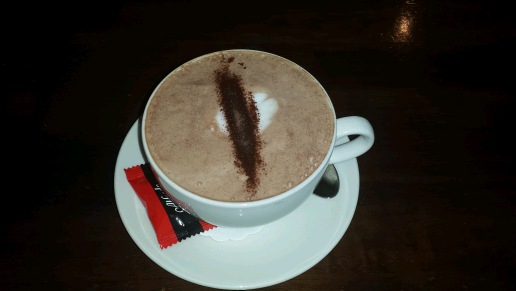 Many coeliac’s need to avoid coffee, especially if heartburn is a symptom, it’s a gastric irritant and a known IBS trigger. You could try organic green or black tea, however I am not a tea lover so I often find hot water with a slice of lemon is an excellent alternative. 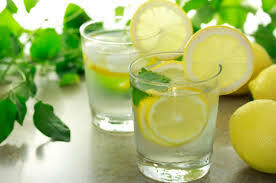 Drinking hot water and lemon first thing in the morning and last thing at night can help eliminate toxins for the body, it is high in anti-oxidants, vitamin C and a good kick-start your gluten-free lifestyle, not only does it help with providing your body with essential hydration, it can give you clear skin. Natural sodas have a lot less sugar and can be a refreshing alternative when on the go. Snacking, was actually fun for me, before I used to have to avoid anything that looked yummy, now when I’m at home I snack on organic dark chocolate rice cakes or carrot sticks dipped in organic peanut, almond, cashew butter or home-made hummus. I have also found that Italian bread sticks dipped in a mixture of natural yoghurt, pea and mint or natural yoghurt, split pea, chilli & smoked paprika takes my craving for crisps away. 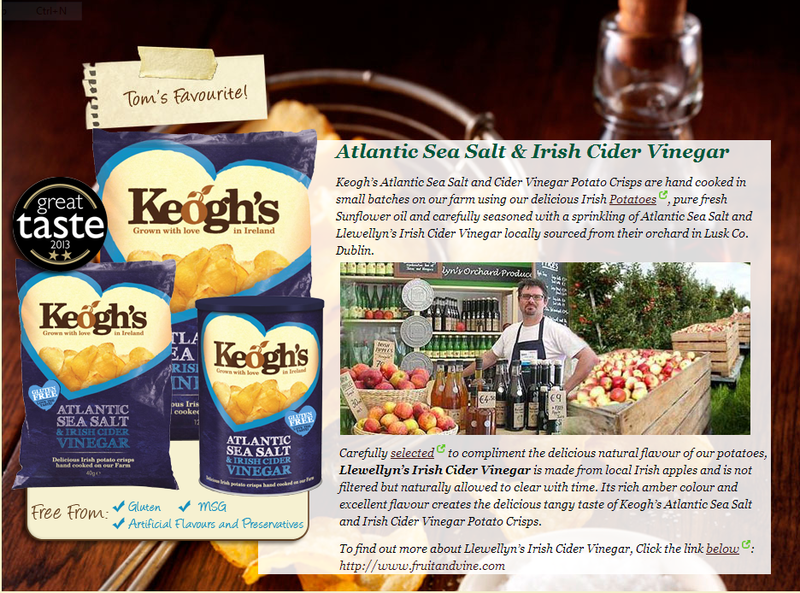 I would like to thank Keogh’s for making the most wonderful Irish hand crafted crisps, salt & vinegar flavour would be my weak spot, but we all need to be bold once in a while, don’t we? I am not a fan of dried fruit or almonds however these are good choices to curb the hunger pangs. I do like a mixture of nuts and fruit from time to time, however the bag doesn’t last long as once I pop sometimes I can’t stop, so I try and limit the amount I buy as nuts can be high in calories, however it is also high in protein so go for it if you can stick to a handful of unsalted, natural nuts and dried fruits. I often go nosing in the fridge just cos I just fancy something so I have a slice of lactose free cheese, which tastes remarkably like swiss cheese with its nutty flavour. I also always have a container of fruit in the fridge, just in case, pineapples, grapes, strawberry’s, mango and grapes. Yoplait Yogurts are on my list of Gluten free heaven foods. Popcorn is also Gluten free, handy for those movie nights in. When it comes to Fats, I tend to stick to Rapeseed oil for cooking, olive oil for salads, which are low in polyunsaturated fats. A real treat me is gluten-free organic dark chocolate 70%. It is full of antioxidants and tastes soo good, there is always a bar in the fridge. Non-GMO organic corn tortilla chips are also handy for when you have a few people over to visit, they won’t even know the difference. I use them to dip into my Homemade Guacamole. There is a wide array of safe gluten-free snacks available nowadays from crackers to muffins and everything in between, but it is important to always read labels so that you know what you are putting into your body, the last thing you want to do is ruin all your good work by eating pro-inflammatory processed junk food and takeaways this only messes with your healing process, your body will thank you in the end! Yes, that’s what your worried about, me too. I love my glass of Merlot, so initially I cut it out completely as I found it only aggravated my symptoms. Bottled red and white wines are often safe however can be high in fermented fruit and yeast, which IBS sufferers may wish to avoid. When in doubt it is best to call the winery and check to see what method they use as a lot of older wineries use antique oak barrels sealed with food grade paste (wheat). You should avoid malted wine coolers. For those allergic to casein, egg proteins, or fish, be aware that modern methods of winemaking often include a fining process that utilises one of these top allergens. Potato vodkas and unflavoured rums, distilled whiskey and tequilas are naturally gluten-free. Cognac is safe; however you should always check for added flavours that may not be gluten-free. There are also gluten-free lagers and bottled hard ciders on the market now as beer contains barley and should be avoided. If you suspect you might be Gluten Intolerant or a coeliac and before you decide to go Gluten-free, you should visit your physician and request a blood test which can confirm if you are in fact allergic to both dairy proteins (casein and whey). Also look into FODMAPs- hard-to-digest sugars that include lactose, and fructose. Tests can often come back negative, therefore it is important to get a biopsy to confirm coeliac disease. There will be times when, in spite of all your best efforts, you will be tempted by the odd chocolate croissant like me or you unwillingly get some cross-contamination you will feel the wrath, depending on the person it can take 5 minutes but for me it can take about 20 minutes depending on what I eat, you may have a splitting headache like a bullet through the head, stomach pains a few moments later that make you feel doubled over in pain, then expect to spend the rest of the evening cramping, having to lie down for relief and of course the repeated visits to the bathroom, where you are faced with a struggle or a surprise. Knowing that the next day will probably be filled with fatigue, you might also feel depressed and anxious as a 30 something year old woman who only recently discovered that I am gluten intolerant, it may have been helpful to have been diagnosed earlier. I vaguely recall when my symptoms first started but it was somewhere in my young teenage years. I do recall quite vividly at the age of 19 being brought to A&E where my belly was so swollen I looked about six months pregnant. I was given morphine and asked where the pain was and then I was sent home. I went to my GP the next day in severe pain, where he diagnosed me with IBS. He gave me two sets of antibiotics for the infection which had spread to other parts of my body. He also gave me anti-spasmodic medication, fibo-gel, peppermint oil tablets and laxatives (containing lactose) which I would not recommend. I thought I was going to die with the pain and it just persisted. After many years going to consultants and specialists and several bad bouts, resulting in a prolapsed bowel and wonderful rectocele to boot it surprises me that no physician told me that it might even be a consideration, even though I was becoming acutely aware of the foods that were the culprits, i.e. bread and pasta and fatty foods, but all I tried to do was avoid these, however I still had the symptoms. So it is a blessing and a relief to finally know but worrying at the same time that there is not much information out there, hence why I started writing this blog to encourage more people to become aware of the symptoms. Being gluten-free may be messy and raw and annoying as hell. There might be months, eventually, that you go without thinking about gluten, or you revel in your new baking skills, or you realise what a gift this all is because you feel well for the first time in your life. And then there will be bad days, perhaps because someone has made you feel like you are on a fad diet or someone questions why you are gluten-free, but doesn’t quite get it and is ill informed. There may also be days where all you have left is a carrot some peanut butter and a packet of popcorn left in the house to have for your dinner and you decide to go out for dinner instead but the restaurant uses MSG and doesn’t cater for the gluten intolerance or they arrive to the table with gravy smothering your food that you specifically asked not to be there and you feel like exploding!! Take a deep breath and don’t despair – go home and eat that carrot, cut it into fingers and dip it in peanut butter it’s yummy and have that popcorn with a movie and chill out, tomorrow is another day! One day when you wake up in the morning and realise you haven’t had a headache in months and your joints don’t hurt, you stomach isn’t swollen and sore, you are not doubled over with cramps and you go to the bathroom like a normal person you suddenly realise that you have just changed your life for the better. It takes time you just have to stick with it, it will be worth it in the end! I’ve never heard a better explanation of why our bodies are unable to have Gluten!